Laminating paper sounds like a tricky task. What type of documents can be laminated? What kind of laminating sheets should be used? Should a document be inserted multiple times? 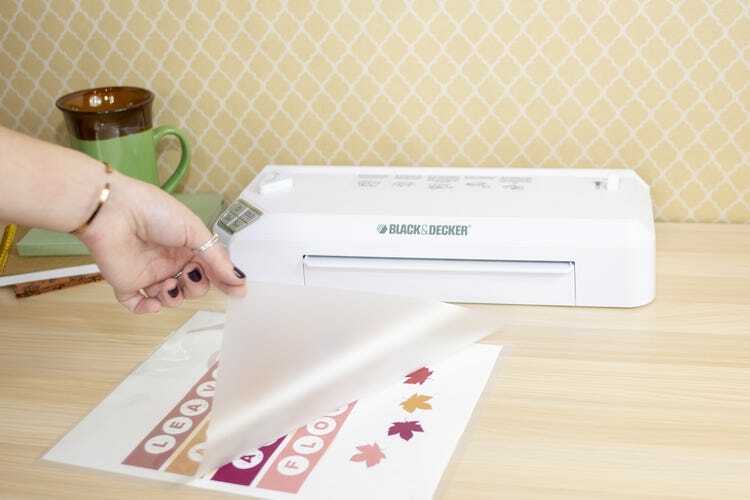 While it seems like it could be a hassle, laminating paper is actually quite simple! Lamination is great for crafts, letters and photos that you want to protect, display and preserve for repeated use. They turn regular paper into stain-resistant, indestructible files that can even be used as dry-erase documents. 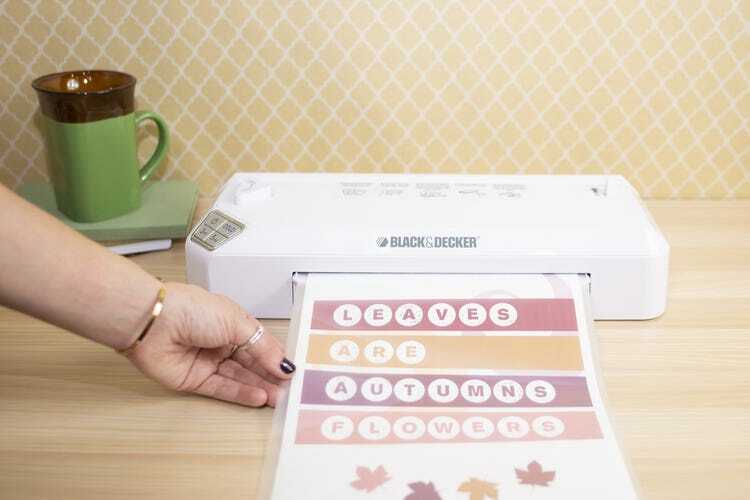 In this tutorial of how to laminate paper, we used our BLACK+DECKER Flash™ 9.5" thermal laminator, but these steps are applicable for any of our laminating machines. Still confused? 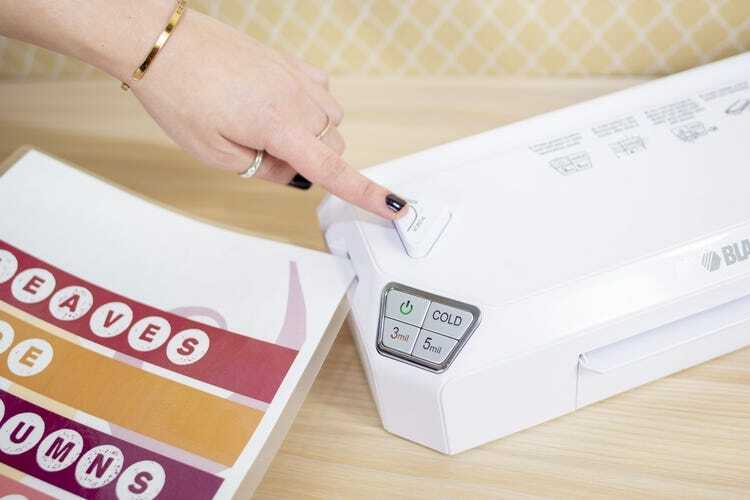 We'll fill you in of all the features and benefits of our easy-to-use laminating machines along the way. 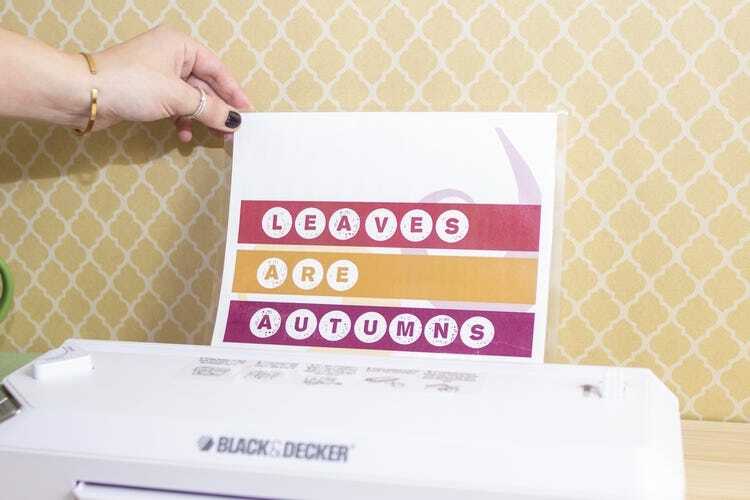 So sit back, relax and join us as we break down how to laminate paper! Step 1: Power on the laminator. (Sounds obvious, right? Well, we just wanted to remind you!) Do this by pushing the first button on the digital control panel. Thanks to the Flash™ Heat Technology, this machine warms up and is ready to laminate in 120 seconds, and our other units are in just 60 seconds! Step 2: Place your document between the two flaps of the laminating sheet, arranging it as close to the center as possible. Carefully smooth it out to make it as flat as possible. For laminating this adorable 8.5" x 11" printable, we used a letter size laminating pouch. Though, we do offer a variety of laminating sheets to fit all of your needs, or rather all of your documents. Pro Tip! : Be sure to select the correct setting on the machine to coordinate with the laminating sheet. The sheets come in a thickness of either 3 mil or 5 mil, and the machines have those exact button settings to make your life that much easier. Step 3: Once the machine is all warmed up (it will beep when ready! ), feed your laminating sheet and document duo sealed side first through the front/bottom of the laminator as shown below. The machine will then automatically filter the whole document through the machine, dispensing it at the top, perfectly laminated! Though, if you happen to misfeed the sheet into the machine, simply use the reverse lever on the top right for fast, hassle-free clearing. It's also handy to note that this laminator is two times faster than traditional laminators, and our others are four and seven times faster! Step 4: Don't want pointed edges? Our machines have an integrated corner punch that rounds the corners of your laminated document for a more professional finish. Voila - you're done! Talk about quick operation. 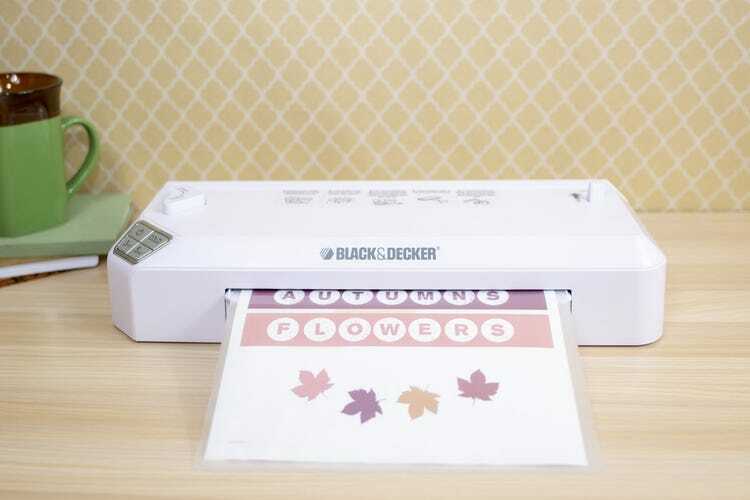 Hopefully we've answered your questions and calmed your nerves when it comes to how to use a laminator. 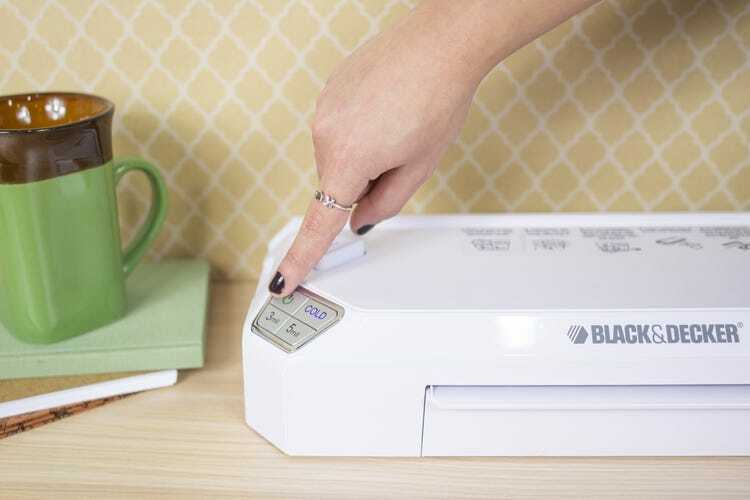 You don't even have to worry about turning off the laminator; each unit has an auto shutoff feature that conveniently powers it down after 60 minutes. Note that our machines are also compatible with cold sheets as it offers a cold setting. 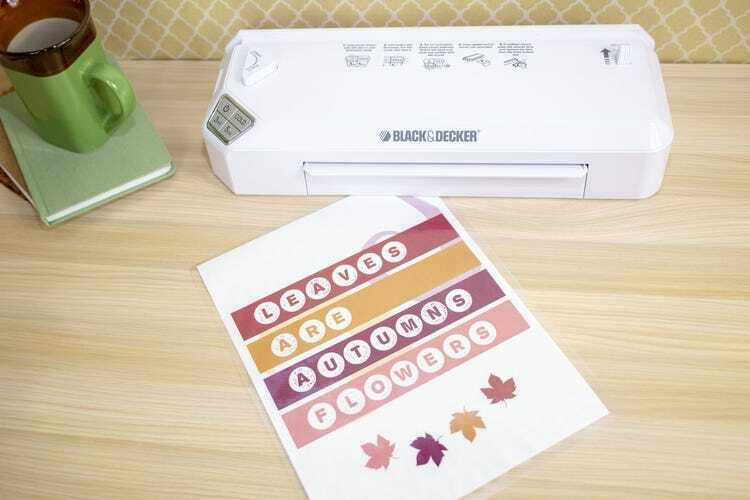 Don't have quick access to laminator? Don't worry! We also offer self-adhesive laminating pouches that produce quality results and require no laminator! How can I laminate small pieces of paper all at one time. They all move while going through the laminator. Teqniques or suggestions? Or guides?